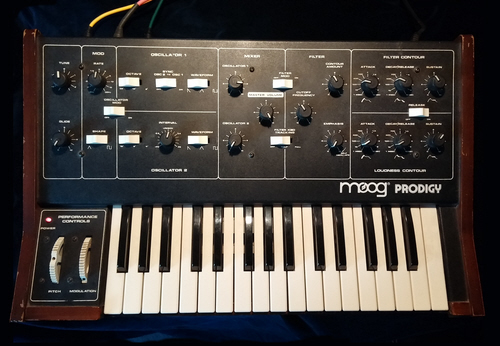 The Moog Prodigy is one of the simplest, but one of the best old music synthesisers. This video shows exactly what the different bits of a synthesiser do, what the various switches and knobs are for and how it can pretend to be other instruments! This detailed introduction to the Korg MS-20 follows on from "How a Vintage Synthesiser Works". It shows how the MS-20's patch board can be hooked up to get the best from voltage control modules including the VCOs, VCAs, High and Low Pass VCFs, the Ring Modulator and noise generators. Although the machine featured was built in the 1970's, Korg have now produced the Korg MS-20 Mini which has all the same features to play with! How to tame a Ring Modulator! Ring Modulators are the strangest effects in music, but how do they work? This video shows how a variety of different Ring Mods create space wars, ghostly church bells and Dalek voices. There's also my own invention, the 40 year old "Twing Mod" made from three classic old Dewtron synthesiser modules. Analog delay uses the old "bucket chips" to produce echoes that slowly evolve as they repeat. 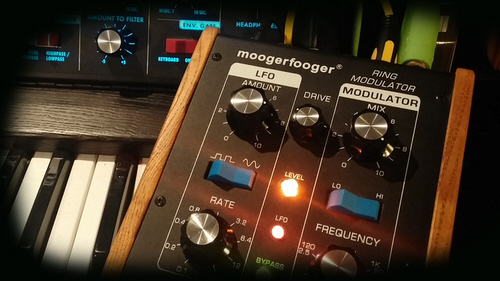 Here I use the classic MOOG MF-104Z to show how these chips work, what happens when you shove modulation voltages into it and what it sounds like with different effects in the loop circuit. Lots of chunky pedals in this one. Most sythesisers have a white noise generator, but what exactly is it, and how do you make the wildest and weirdest wind noises? 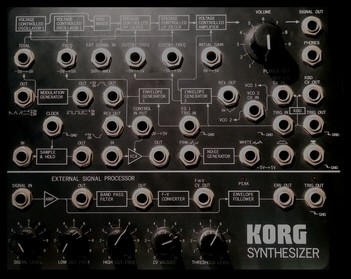 Random voltages and the "sample and hold" function are explained with the help of the Moog filter, the CP-251 and the Korg MS-20. This is my attempt to recreate the fabulous sounds made by the waves hitting the shingle beach at Deal in Kent, England. I use the Moog Voyager and Korg MS-20, the Moogerfooger MF-104Z analog delay, MF-103 phaser and MF-105M Murf, plus the Arp Odyssey to add bird noises. There is also a little montage showing The Top Five Best Things In Deal including the pubs, the castle, the excellent Time Ball Tower Museum and "Carry On" star Charles Hawtrey. What on Earth's a MuRF? Moog have made a pedal with eight resonant filters and lots of other knobs and buttons, but what can you do with it? It's all here, plus I reveal its secret weapon and show how it uses prime numbers to do the most nerdish thing in music! Just because synthesisers have keyboards, it doesn't mean that they have to play a tune. Here the KORG MS20 is the "cat" and the ARP ODYSSEY is the "dog". Hopefully there will a few more videos to come showing other synths, effects pedals and lots of weird noises!